I Wanna Build a Memory: Christmas tags and a Purple Onion Designs SALE! 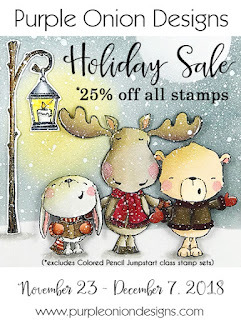 Christmas tags and a Purple Onion Designs SALE! If you're a fan of Purple Onion Designs then you can certainly load your basket up with some cuties at an awesome 25% off. 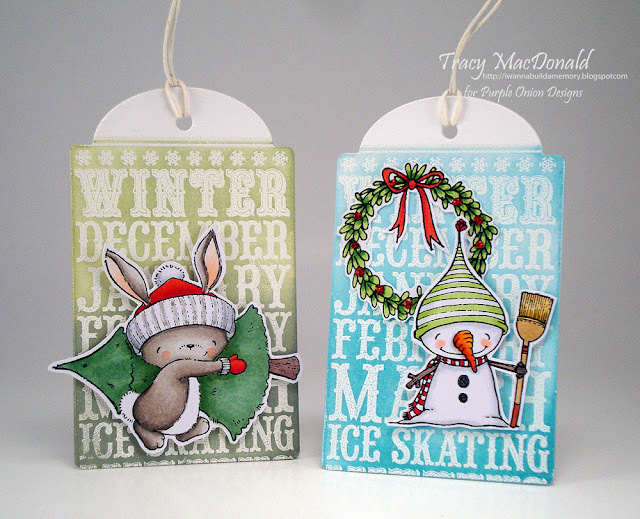 I've created a couple of Christmas tags using some of Stacey Yacula's winter critters. 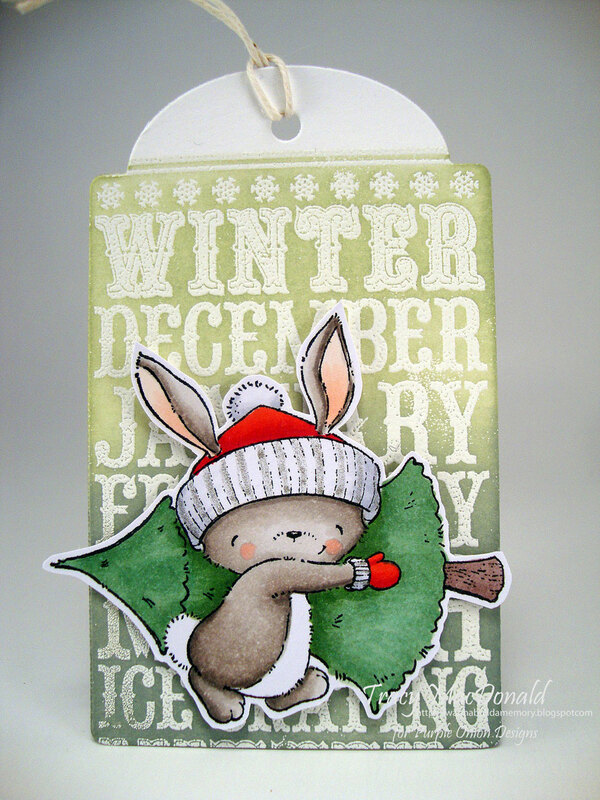 For the backgrounds I used the Winter Noteblock Stamp. I stamped it in Versamark then added white embossing powder. 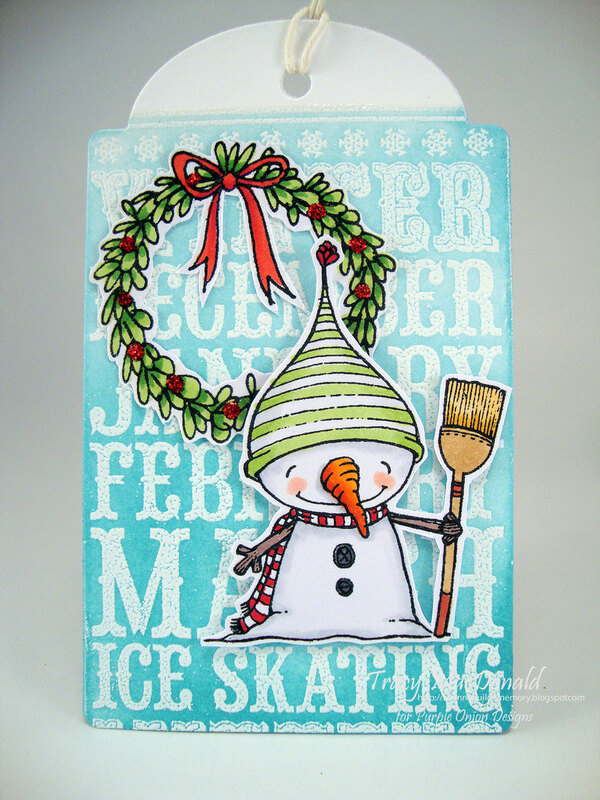 After melting the powder I used a couple of Distress Oxide inks to add some ombre color. Love your sweet tags, my friend! 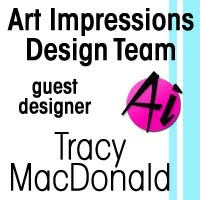 They are absolutely gorgeous Tracy!! Beautifully done! Fabulous tags Tracy , love the sweet designs and colouring and yes my wallet started screaming after I took out that credit card one more time. Couldnt resist 25% discount. Ohmygoodness, how did I miss these? So stinkin' CUTE! !